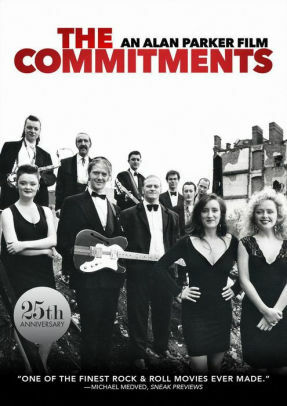 I remember seeing The Commitments in the movie theatre at the age of 13, being swept away with the music, and promptly going out and buying the soundtrack on cassette. This story has held up for almost 30 years, thanks to film director Alan Parker (Fame, Mississippi Burning, Evita) who is known for his use of great music edited to great scenes; he contrasts the strong lyrics of soul music to the daily life of North Dublin. Meet this ragtag group of North Dubliners who come together due to Jimmy Rabbitte's dream of managing a soul group in the tradition of Wilson Pickett. Egos, hormones, money, family, life... following this group as they grow and become popular. I wanted to follow Jimmy when I was a teenager, and to this day I still want to follow him. Prepare yourself to want to talk in an Irish accent for weeks after watching. Also, remember to watch the other movies of the Barrytown Trilogy (all about Jimmy's family): The Snapper and The Van.